Last week in Parkland, Florida, 19-year-old Nikolas Cruz opened fire with a semiautomatic AR-15 rifle in the hallways, killing 17 people and injuring plenty more. Schools nationwide have quickly worked to improve security measures to provide a safe learning environment for students as the number of school shootings is drastically on the rise. 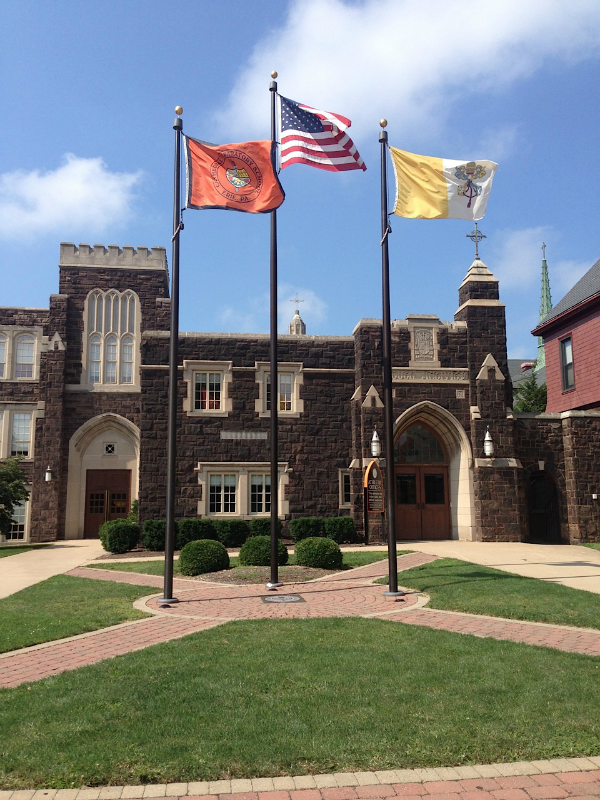 Cathedral Prep administrators and staff over the last week have worked in conjunction with the student body to make Prep’s hallways as safe as possible. At an all-school meeting before the four-day holiday weekend, Principal Jim Smith addressed the school on a number of disciplinary measures coming in the second semester, as well as introducing a few new rules, for the students’ protection. Book bags are now not allowed to be carried around in the hallways, and students have been instructed to use their lockers instead. Also, walking back to the Prep parking lot during school hours is also now banned. Sometimes in the past, when students or staff alike forgot their iPad, wallet, or school materials, they would be allowed to venture back and retrieve them. Now due to safely concerns this is not allowed. The entrances at Prep are now being monitored and locked during the school hours and before classes begin. Others have embraced the rule change. “I’m just glad the school is thinking about us and our safety,” said sophomore Robbie Lupo. In an email sent to the school Mr. Smith said, “This is not a punishment but a safety concern,” regarding the numerous rules changes. “We are trying to make sure our building is safe at all times, which includes the time before classes are in session.” So as we head into the final months of the school year, expect more teacher presence and heightened security around the building and at any athletic events.